The Midnight Review: Things That Make You Go "Hmm"
Looking at the title of this article, one might think that I was writing about the C & C Music Factory hit with the same name, but I had an interesting thought regarding the ongoing feud between this site and conservative activist John Smithson's similarly named blog - Smithson accuses this blog of plagiarizing his site because of the similarity in titles, The Midnight Review vs. Midknight Review, so I was wondering what else is out there that not only shares a similar name, but an exact name as that of Smithson's website. 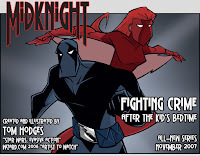 Here is a comic book distributed by Red 5 Comics titled Midknight. Do you thinik maybe Smithson got the idea for his blog from this comic, after all, the series did start back in 2007 when Smithson started blogging. 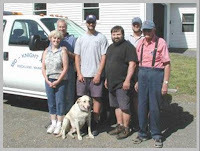 Here is a family run auto company operating out of Rockland, Maine. What is the name of the auto company? Mid-Knight Auto! 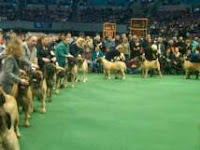 Here is a site out of Ohio called Midknight Mastiffs that specializes in show dogs. Here is a construction site called Midknight Construction. Here is a chess site! Here is a glove that trademarked the name "Midknight." This is only a small amount of the web pages that came up under my search - there were a total of 115,000 pages. Smithson's did not even come up on the first page!